Today, it is my pleasure to interview Fangirl Connie Shih! I became aware of Connie through the Twitter Star Wars Fangirl Community. 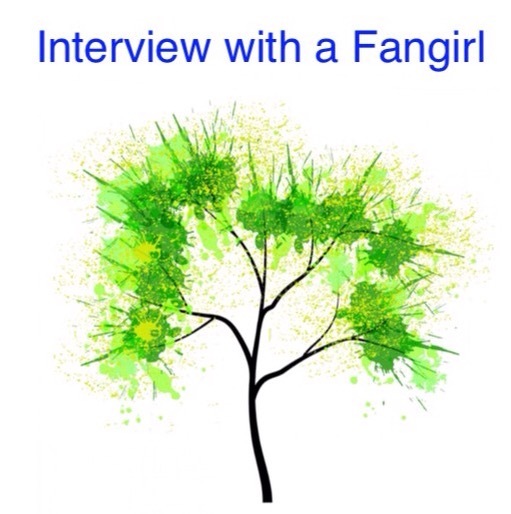 Welcome Connie to The Adventures of The Everyday Fangirl and thank you for taking the time to answer these questions about being a Fangirl. I became enamored with The Muppet Show on TV when I was five-years-old. A talking frog, pig, and bear? Colorful creatures of all shapes and sizes? Instant Muppet fangirl! At the moment, social media (primarily Twitter) has helped me connect with Star Wars fans, podcasts, and fan sites from all over the world. Overall, it’s been wonderful to interact with fellow fans and become a member of Star Wars Twitter fan community. However, there is also an unfortunate downside with trolls and toxicity. In those instances, when it’s become overwhelming, I’ve found it’s perfectly fine to take a break from social media. I’ve also discovered that Twitter (with its character limit) often hinders in depth discussions, so it’s better to engage in those discussions elsewhere where there is more space for elaboration. Prior to the Star Wars Twitter fan community, I used Tumblr for several years to connect with fellow fans in the Glee fan community. I first saw Return of the Jedi in 1983 on the big screen when I was eight-years-old, and instantly fell in love with Princess Leia, Luke Skywalker, and Ewoks. Return of the Jedi was my gateway to Star Wars and later paved the way for my love of Star Trek and Lord of the Rings. I’ve been mostly involved with the Glee fan community and Star Wars fan community in recent years and both have been welcoming and felt like family. In the Glee fan community, I’ve met fellow fans in person, attended concerts and book signings with them, and become lifelong friends with many of them. I’ve also collaborated professionally with fellow Glee fans in academia. Overall, it’s been incredibly positive and satisfying. In the Star Wars fan community, it’s been fantastic to connect with so many on a daily basis on Twitter. I hope to meet fellow fans in person one day and attend meetup or a Star Wars Celebration. I love musicals (both Broadway and movie), am a proud Gleek (fan of the Fox TV musical dramedy, Glee). Trekkie (Star Trek fan), and a Lord of the Rings fan. Don’t be afraid to embrace what you love! There are so many ways and places for fangirls to celebrate their fandom and support each other. Reach out and connect with others and don’t let the trolls get under your skin. We have your back! You can find me on Twitter @connieshih. I’m also working on launching a new personal blog called Connie’s Corner (https://ckshih.wordpress.com) in 2018 where you’ll find my thoughts on a variety of topics of interest including Star Wars and pop culture.